Change your Facebook profile picture to a cartoon and help protect children. How does that work then? I’m fascinated by people’s behavior generally. One of my favorite pastimes is people watching and now I can people-watch online from the comfort of my sofa. Last weekend I was watching the NSPCC trending on Twitter because people were changing their Facebook profiles to cartoon characters. Friends were getting all nostalgic from the likes of Captain Caveman to Donald Duck to Barney Rubble. According to the LA Times, nearly every of the 20 most actively searched terms on Google were to do with ‘old cartoons’ on Saturday morning. That’s pretty big. It was only when a few sceptics started to point out that just changing your status profile wont really help children, and started to suggest that people made a donation that the validity of the campaign was questioned. As time progressed more messages appeared about it being a ‘scam’ set up by pedophiles. This was followed by messages to remove your cartoon profile urgently or you would get ‘kicked off’ Facebook! According to the trend-tracking website Know Your Meme, the cartoon fad started with Facebook users in Greece and Cyprus in mid-November. I’m a bit bemused by the whole thing, whilst I can appreciate that thinking about your childhood may connect you to the cause; how it helps protect children is pretty tentative by any stretch of the imagination. There was no call to action or a link to a donation page. Sadly it meant that lots of people just thought they had done something good. When they hadn’t really. There is an argument that all publicity is good publicity, and anything that raises awareness of a cause and encourages people to help in any way is good. 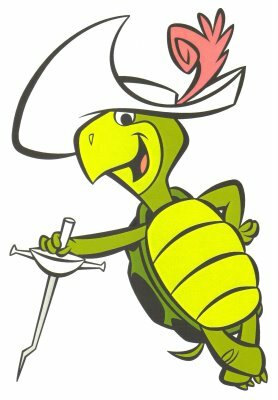 But I worry how it is that people feel they have ‘done their bit’ by just changing their avatar to Touché Turtle. Cartoon Weekend wasn’t a NSPCC campaign but apparently the NSPCC increased fans on Facebook to over 100,000 as a result, which is no bad thing as now the charity can communicate with those good willed cartoon lovers and ask them how they really might like to help. The results of that conversion would be interesting. What really interests me is why this campaign went so viral. Did thinking about childhood spark some nostalgia? Was it because it was so easy? Is there so much online peer pressure on Facebook that people just did it to fit in? Was it the link to a good cause that made people feel like they were part of something important? There is a lot of research into the psychology of group behaviour and the dynamics that social network sites create. Please can an expert do some analysis into Cartoon Weekend as I think it could show up some fascinating trends and behaviours that could help charities generate support in the future. I recently read Here Comes Everybody by Clay Shirky which is about behaviours in online groups and networks. I wonder what he has to say about Cartoon Weekend? The views in this blog are my own and do not represent the organisation I work for. 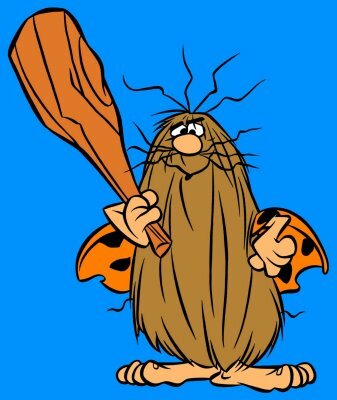 This entry was posted in fundraising, Innovation, Inspiration, relationships, social media and tagged awareness, captain caveman, cartoon, cause, charity, childhood, children, clay shirky, donald duck, facebook, greece, nspcc, psychologycyprus, trending, twitter, viral. Bookmark the permalink. I agree with you that the most interesting thing about it is the way the thing spread. Herd by Mark Earls is a great subject on mass behaviour and you can see some of the Milgram conformity experiments (though with cartoons rather than electric shocks!) in the way people all tagged along with it and obeyed the behaviour. Good to see people pointing out the lack of money and somebody trying to do about it. Herd is now on my wish list – thank you….It will be interesting to see what happens next….